ATLAS releases the first study of a pair of neutral bosons produced in association with a high-mass dijet system. Ever since the LHC collided its first protons in 2009, the ATLAS Collaboration has been persistently studying their interactions with increasing precision. To this day, it has always observed them to be as expected by the Standard Model. Though it remains unrefuted, physicists are convinced that a better theory must exist to explain certain fundamental questions: What is the nature of the dark matter? Why is the gravitational force so weak compared to the other forces? This leads to differences in the kinematics of the observed jets, which are described in a recently-submitted paper to the Journal of High Energy Physics [no link found], where ATLAS presents a search for such events using 8 TeV data. 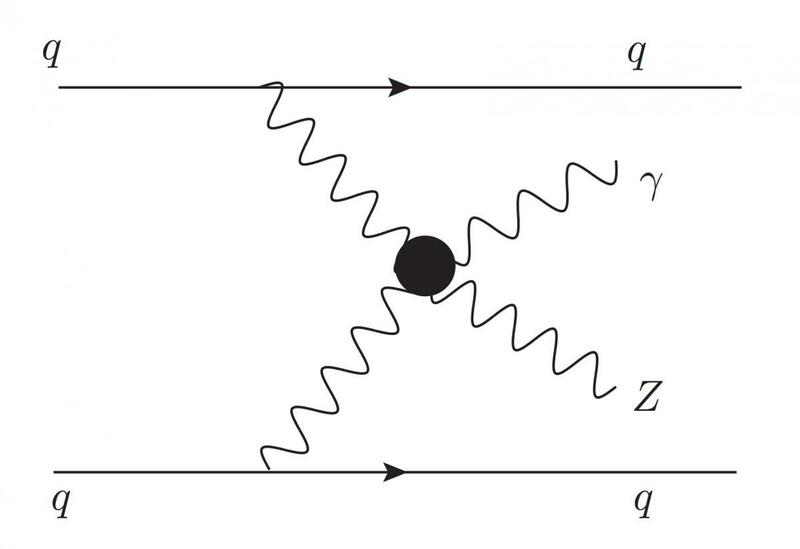 Utilizing the knowledge that the recoiling quarks (see Figure 2) will produce jets that have a very large invariant mass and are widely separated in the detector, ATLAS has been able to reduce the background and mitigate the large experimental uncertainties in order to extract the signal.